Despite the fact that I am the only one in the house who eats asparagus, I am always looking for new ways to prepare it. My favorite is grilled because I love how it turns those woody little stalks bright green but still manages to add char marks on them. My second favorite way would be roasted and my third favorite would be sauteed. There probably isn’t a way to prepare asparagus that I wouldn’t like. 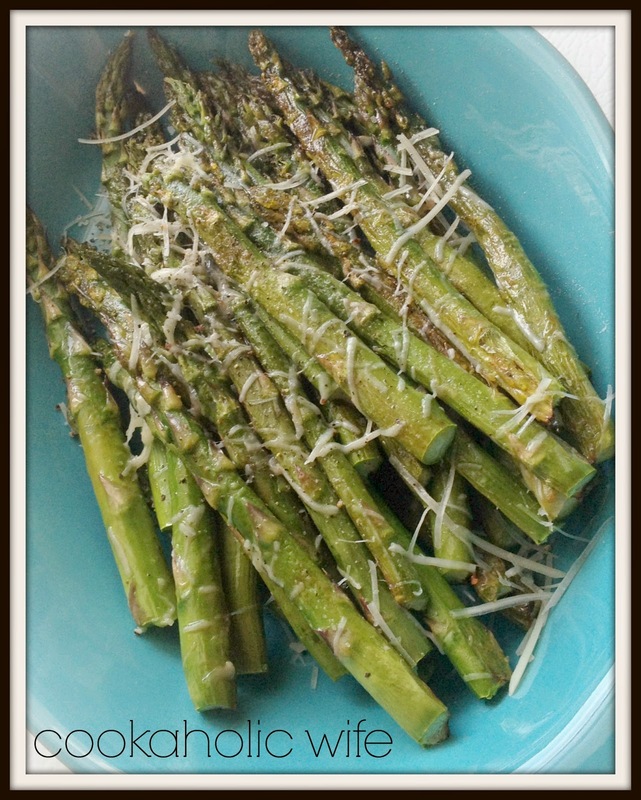 I already had the oven on and decided to roast/bake the asparagus for this recipe. 2. 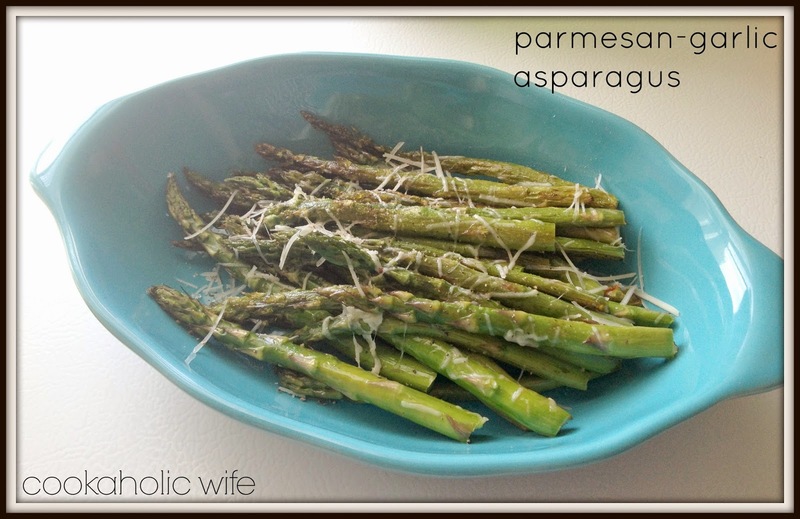 Place asparagus in a baking dish and season the garlic powder. Place the pats of butter on top and bake for 15-20 minutes or until asparagus is tender. 3. Sprinkle with Parmesan cheese and season to taste with salt and pepper. Easy, huh? With my longer commute for work, I prefer to keep dinners and side dishes as simple as possible now, using the weekends to spend more time on longer recipes.